Theresa May had her Brexit deal defeated in parliament by a majority of 230 votes on Tuesday night which still leaves the country in limbo as to what is actually happening with Brexit and Great Britain. We have had a look into what happens to the racing and more targeted breeding industry if we do leave the European Union, whilst also digging deeper into what will happen if we stay in. Firstly The Tripartite Agreement will be lost in the happening of a no deal Brexit. This agreement see's that there is free movement for horses going between Ireland, France and Great Britain but this is a big thing that could be no longer valid. Being able to import horses from European countries into the United Kingdom is something that has happened naturally with in the sport for numerous years and will not change immediately in the result of us leaving the EU. The government are in the process of replicating the current well working system but whether the panel from the EU allow this is a different story. The effect this has on the horse racing industry is huge with the amount of horses that moved between the UK and Europe. (Credit Racing Post) In 2017, there was more than 26,000 thoroughbred movements between Britain, Ireland and France for racing, breeding and sales purposes using the Tripartite agreement. This included 1,604 runners from foreign based trainers in Britain. Over this period there was A total of 842 runners from Britain contested international races, of which 66 per cent were staged in EU countries. One of the biggest problems that could occur for the country would be a No Deal Brexit and a big impact it will have on racing would be the UK would have to apply for a Listed Third Country Status for export health certification. However, this may not be approved by the EU and even if it is there is no parameters on the actual amount of time it will take to do so. Without a Listed Export Agreement there will be no way that exports to Europe can take place. Post Brexit there will be ongoing restraints by both parties involved in this negotiation and there will be limitations put on ID, transport and animal husbandry that will need to be the same as now or made better by UK legislation if we leave during Brexit. Depending on how the on going talks between the EU and the UK go there could be more harsh ramifications posed onto the sport of racing with the potential of an 11.5 percent tariff rate to be put upon horses, purebred breeding animals are excused from this but gelded horses come under fire. The ongoing stable staff issue that racing in the UK is suffering with at the moment has hit an all time low with trainers voicing there opinions daily with the need for more staff in the sport. However, Brexit will just add fuel to the fire with this issue, with the amount of foreign workers within the sport. British racing will have a post Brexit immigration system does not compromise the status of European Economic Area and non-EEA workers already in Britain. The betting industry could become mildly affected as well with Gibraltar being a big playground for bookmakers and they will need to be able to have continued access to markets within Europe like they do at present. The situation at the moment in Britain leaves many of these issues very much up in the air with the UK now two years on from when Brexit was announced and still the country none the wiser as to when we are supposed to be leaving the European Union. Theresa May is expected to apply for a further extension on Friday to be able to build a suitable deal for all different parties to get on board with. However, two deals have been put forward so far and have both been unanimously rejected by the house and it looks the third attempt at a deal is going to go down the same route. Article 50 will be extended and a No Deal Brexit, Second Referendum or a new general election are all things still on the table revolving around the current Brexit debacle. 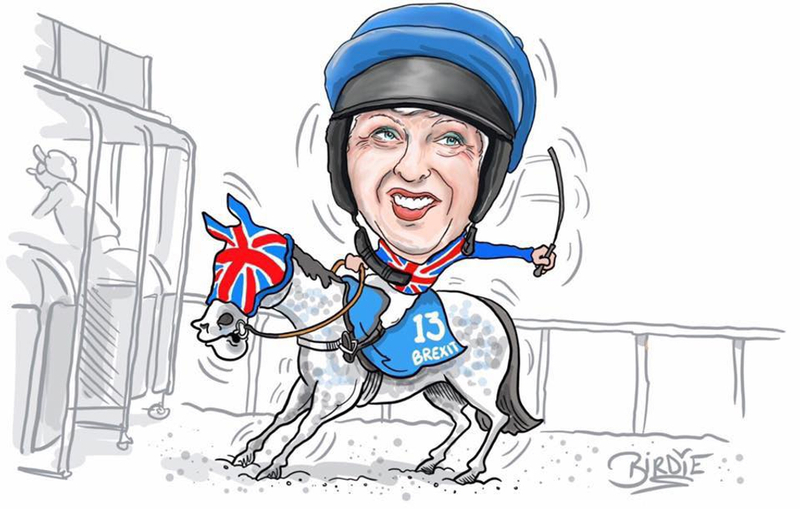 Horse racing is very much in the dark as to what is happening with the sport post Brexit with only ifs and buts at this moment in time as to what will happen.